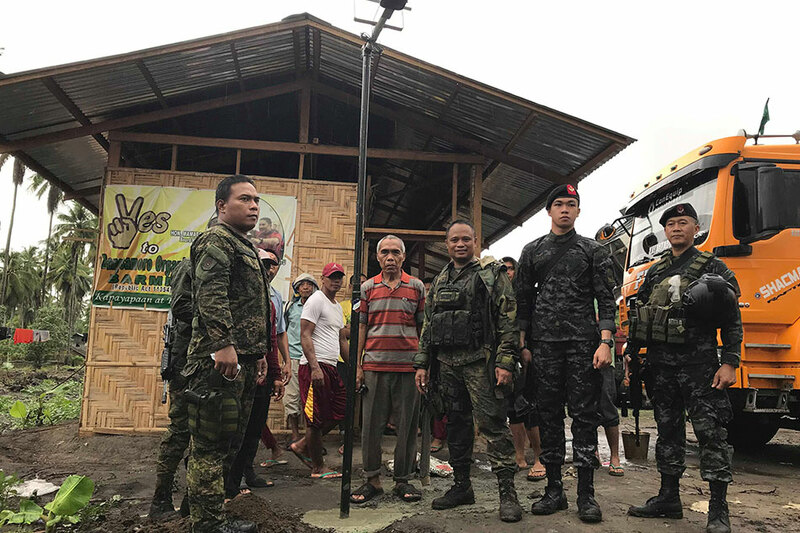 SULTAN SA BARONGIS, Maguindanao -- A company of Philippine Army soldiers "attacked" a remote village in southern Liguasan Marsh to save them from total darkness. Armed with solar lights, the soldiers went to the village to install solar lamp posts in Barangay Tugal. Abdullah Mokalib, 12, was among those who received a solar torch that works both as a flash light and study lamp. He expressed joy at the fact that he can use it to study at night, since the new torch works better than their kerosene lamps. Led by Lieutenant Colonel Harold Cabunoc, commanding officer of 33rd Infantry Battalion (33IB), the soldiers handed over free lamps to each household as part of the "Light a Barangay" Project. The villagers and the soldiers also worked hand-in-hand in installing solar lamp posts during the outreach activity last January 25. A total of six solar lamp posts were intalled in public places in Barangay Tugal. The members of the 33IB were deployed to the villages of Bulod and Tugal in December 2018. They were tasked to solve the problem of illegal drugs and the intrusion of extremists groups. The soldiers also conducted socio-civic activities, which brought them closer to the residents. "Gaining the people’s trust, we facilitated the surrender of 41 members of the notorious drug syndicates in Bulod without employing coercive military operations. They have also collaborated with us in confronting the Dawlah Islamiya Toraife Group," Cabunos said. More solar lamp posts have been installed by the 33IB in several communities around the Liguasan Marsh. Among the recipients is Barangay Midpandacan in neighboring General Salipada K Pendatun town, a former armed conflict-affected area. 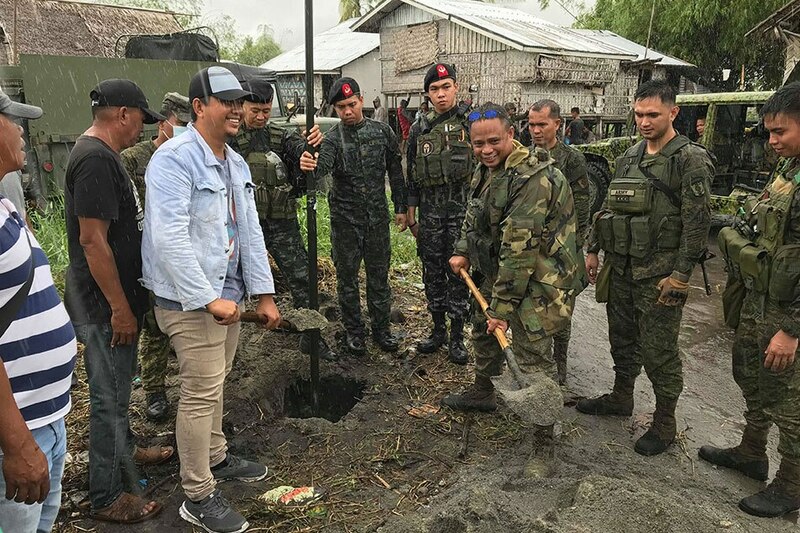 With the help of the 33IB, the local government has witnessed the end of seven clan wars in the province, which paved the way for the delivery of essential services in Maguindanao.